I’ve always teased Vickie about studying “a dirty white weed that can be collected only when the sun is beaming white hot on collectors’ backs and the soil is parched dry to make digging impossible,” because I’ve accompanied her on many field trips throughout the South during the summer when temps were at their hottest peak, but she has always diverted my attention to joe pye weed, a close relative of Eupatorium with lovely lavender hues, to try to incite more sentiment in me for her chosen plant of study. I remember accompanying Vickie and a Japanese botanist, Dr. T. Yahara, on a collecting trip during a rainstorm preceding Hurricane Elena, which followed us all the way to St. Augustine, Florida and then turned and followed us back to Lafayette, Louisiana. These two botanists’ idea of a good time included climbing fences posted “No trespassing,” backing up the van on the interstate highway at 60 mph to study a plant they spied as we sped past, and running through fields in sheets of rain that fell steadily for the three days they collected. Such are the activities of those who study the plant world, and I did my part by documenting the trip in an article that appeared in Skylight, a literary magazine published in Florida! Vickie, who received her Ph.D. in Biology from Florida State University, has a formidable background in the teaching profession, having taught biology and botany at the University of Louisiana at Lafayette for twenty years and biology, environmental studies, and physical science to students at both Teurlings Catholic High School and Episcopal School of Acadiana in Louisiana for a four year stint. 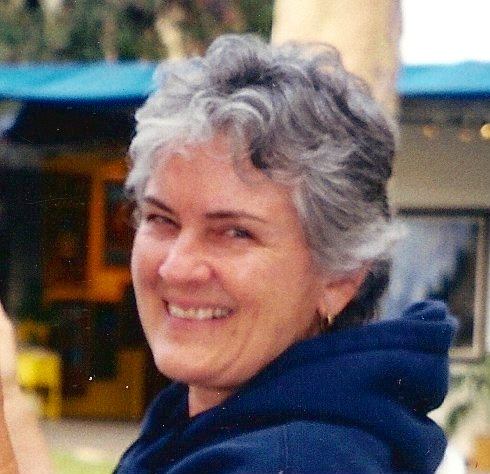 She was also a naturalist with the U.S. National Park Service in the Everglades National Park, worked in Fairchild Tropical Garden, Miami, Florida and has authored at least 25 papers about Eupatorium, thistles, and other plants. At one point during her career, she, along with several colleagues, obtained a grant from EPSCOR for over one and one-half million dollars to do work on molecular evolution. Vickie has worked with the Louisiana Nature Conservancy, the Ecology Branch of the U.S. Army, and as a botanist with the Trustees for Internal Improvement Trust Fund, State of Florida. She has published flash fiction on the Internet, authored non-fiction articles in non-scientific periodicals and has written an outstanding article identifying the plant life in the murals of the famous Gulf Coast painter, Walter Anderson, which appeared in Interdisciplinary Humanities. In 2009, she translated her grandmother’s letters for a book she entitled Granny’s Letters: A Georgia Wiregrass Pioneer Woman’s Tragedy that has been enjoying a “run” on Kindle. This past year, Pinyon Publishing published Vickie’s speculative fiction book, Adoption, in which her heroine is featured as a superhuman, a character who was created by Vickie using her research on the genetics of polyploidy plants that have multiple sets of chromosomes. As owner, publisher, and editor of Border Press, an independent press she established several years ago, she also publishes quality fiction, non-fiction, and poetry. Boards of profit and non-profit organizations seek Vickie out for her financial expertise, and she has served as Treasurer of Solomon House, an outreach mission, as CFO for her family company, Central Ridge in Frostproof, Florida, as treasurer of the Episcopal Church of Epiphany, New Iberia where she also did stints as Senior Warden and served on the Standing Committee of the Episcopal Diocese of Western Louisiana. She served as president of the Epiphany Day School in New Iberia, Louisiana, as treasurer of Bayou Girl Scout Council and was a member of its five-year strategic planning committee, chairing the Fund Development committee of this same organization. Recently, members of the board of St. Mary’s Convent in Sewanee, Tennessee recognized Vickie’s wise oversight of financial matters and appointed her to the board of St. Mary’s Convent in Sewanee, Tennessee where she lives eight months of the year (and resides in New Iberia, Louisiana the other part). She’s an active Associate of the Order of St. Mary and several days of the week can be found at early morning Eucharist at St. Mary’s chapel on the bluff where she worships regularly. In her leisure time, Vickie travels in all the states adjoining Tennessee where she sees a lot of Eupatorium but refrains from collecting as I am usually along for the ride. She has traveled in the Dominican, Europe, Canada, Mexico, Costa Rica, Panama, the Caribbean, and Jamaica. She enjoys a daily game of Scrabble, does extensive reading of philosophy, religion, and psychology, exercises daily, studies the latest tomes on Nutrition, and keeps up with research through readings in science magazines, of course. Back in the 80’s when the Rice Festival marathon was scheduled in Crowley, Louisiana, Vickie put on her running shoes and ran eighteen miles before running out of steam. She has medals from many 5K and 10K races in the Acadiana area. Vickie's a great proponent of natural food and has a heavy hand with exotic seasonings, having authored two microwave cookbooks featuring international recipes. 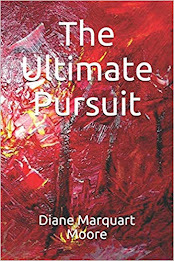 A true Renaissance woman, Vickie is deserving of honors in many fields as her interests are eclectic, and we look forward to reading her next book, soon to be published by Pinyon Publishing. Why Water Plants Don’t Drown, a nature enthusiast’s guide to aquatic plants, will feature the delightful paintings of Susan Elliott, a fellow botanist and artist on Pinyon’s staff. Brava, Vickie! I know that the hybrid apomictic species named Eupatorium sullivaniae is glad to finally be named after a gifted woman of diverse talents who has entered her seventh decade with such energy and vision. Congratulations, Vickie. Not many receive this type of honor. Also, great to read about your many accomplishments and interests. Nice post, Diane! You see, I did read it! Congratulations to Vickie and strength to her collecting arm. I have just read this latest blog and am very impressed with your accomplishments. Congratulations!!! Congratulations Vickie! You are and have always been an inspiration for as long as I've been blessed to be your cousin. I can now not only name-drop that my cousin is Dr. Victoria I. Sullivan, but that you have been honored again in this special way. The plant must be beautiful as are you in mind and spirit. Way to go Vickie!! !